What is a Jumper Account? A jumper account is an account that is built up to headquarters level 5, including in terms of research, commander xp, and resources/gold in one state, then teleported to a brand new state in order to have a leg up on others that are beginning their accounts from scratch in that new state. 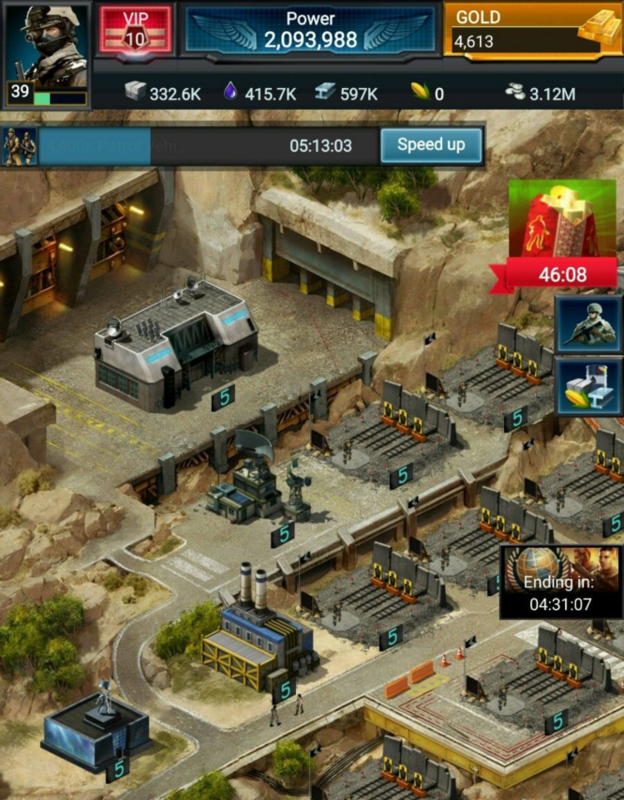 It is quite commonplace in Game of War, but as there are many players that play both games, or formerly played Game of War, the practice has crossed over to Mobile Strike. Note that your base must stay at headquarters level 5 until you teleport to your desired state, otherwise the beginner’s teleport will no longer function aside from being usable in your current state. You should also note that you can only jump states twice, since you only have two beginner’s teleports. Since you should first teleport to the state your main account is located in when starting your jumper account build (so that your main account can support your jumper account with resources). You will only be able to jump states once more so be positive you want to move to a given state when you think your jumper is ready. There won’t be another chance to teleport states if you change your mind. You want to amass as much gold, and as many speed ups and clickable resources as possible while staying at headquarters level 5, as speed-building/researching/training (particularly at higher troop tiers) gets resource-intensive rather quickly. The following sub-headings will touch on the major points for each aspect of game play. 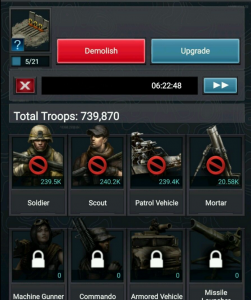 You should aim to have your commander at, or as close to level 50 as possible, as this will help speed up researching, construction, troop training, and most importantly, allow you to fill the desired combat areas on your commander tree and equip the best combat gear right off the bat. Look for Commander XP sales in the gold store, but be careful to spread out purchases so that the price per pack stays lower. This means generally a couple of weeks between purchases, give or take. 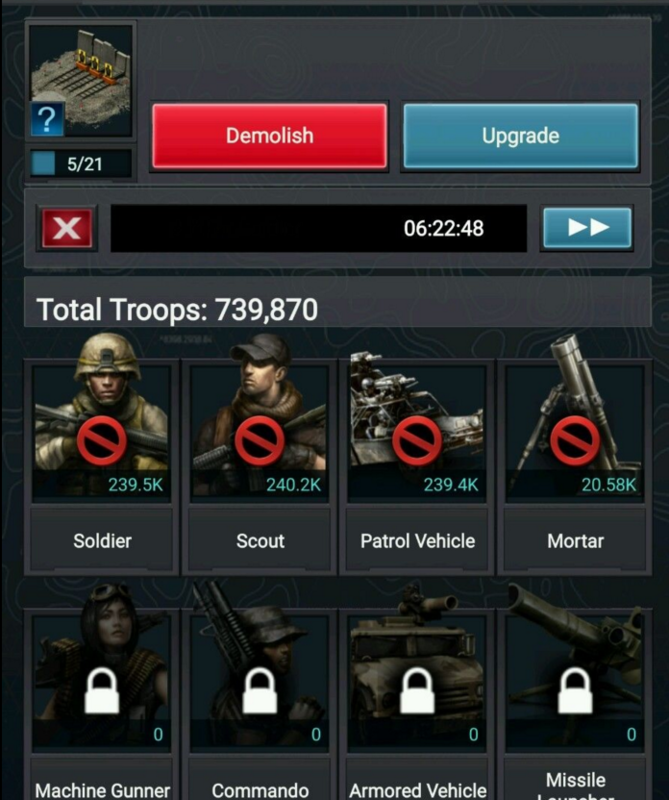 When building your jumper account, you should max out the available research at headquarters/research facility level 5, and build mostly barracks inside your city so you can build troops up quickly when you enter your new state. You want as many barracks as possible, and as an added plus they are not a major burden to tear down since they are only level 5. Once you teleport to your desired state and want to move past headquarters level 5, you’ll need to knock several of them down for other required buildings. You should aim for at least 500k T1 when you teleport to your new state, but a million or more would be even better. If the nerf limits are the same as in Game of War (limits placed on the combat effectiveness of lower tier troops at a certain numerical cap to discourage people from building only lower tiered troops), as long as you stay below 5,000,000 T1 you don’t have anything to worry about. 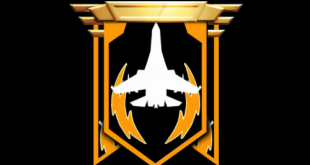 I have yet to see anything about the nerf/troop cap for Mobile Strike and 5 million T1 is unfathomable to most people with a max troop queue of around 4,000, so it isn’t something most players will need to worry about. See below, for an example. Why Would You Want a Jumper Account? There are a variety of reason; the most obvious is to make you one of the major power players in the new state right from the start. This helps to you establish yourself as a contender for the control point by being strong enough to join one of the major alliances immediately, and will allow you to sprint to T2, T3, or eventually T4 troops in relatively quick succession. It allows you to jump right into combat once you teleport to your new state, and since most people that build one have a main account in the first state to feed the jumper resources, the initial mundane building can typically be finished more quickly. You can also seek out and join a dedicated jumper alliance when you first start building your jumper account. A jumper alliance is an alliance made up of all jumper accounts (likely not from the same state) that will all port to a previously agreed upon state at a given time (usually some months in the future). Once the jumper alliance chooses and teleports to the newly-established state they choose, it will establish itself as one of the top alliances in that new state as all of the members of the jumper alliance will have a considerable advantage over the casual new players likely populating the new state assuming they have been building a dedicated jumper account. This is also the only way at present to join your friends in a different state, as the ability to teleport between states permanently is otherwise unavailable. If the common rules to MS are the same as GOW, dont you lose any cued RSS over 500M as well? Yes, it’s been confirmed, 500k of each rss is all you can take on a beginner’s teleport between states. You have to stay under hq5 to jump states. Once you lvl your hq to 5 you’re stuck in that state for good. yea i cant jump into a new state either. 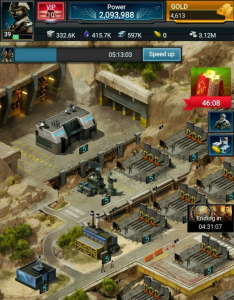 im hq 5 commander lvl 31 i have 1 beginner teleport. Every time i try to jump to the new state i get a message saying i can’t teleport into the state, any idea why? There’s only a couple of reasons, and one I don’t think even applies to any states in MS yet. If the population of the state is too high, they’ll lock the state to prevent the population from getting disproportionately high. The only other reason off the top of my head is if you upgraded your headquarters past level 5. If it’s above level 5, there’s no way for you to port to another state currently. Eventually, assuming EW follows the MZ Game of War progression, you’ll be allowed to but it may be a couple of years though.